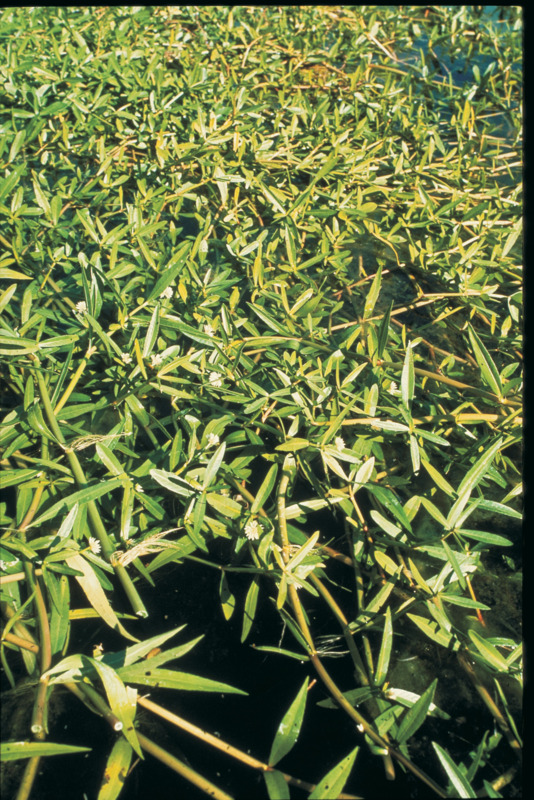 Control methods for alligator weed (Alternanthera philoxeroides) a declared pest in Western Australia. 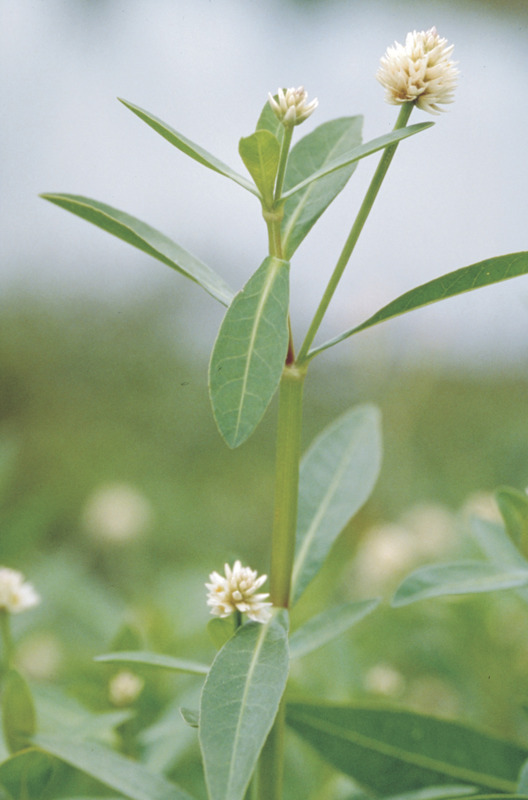 Information about this pest can be found on the alligator weed: declared pest page. Normally applied as a granule treatment, but can be mixed with water and applied as a foliar spray. In this case add a wetting agent such as BS-1000 @ 1mL/L. Do not apply to flowing water. Only apply to alligator weed mats. Healthy plants may need to be treated at fortnightly intervals. Addition of glyphosate (360) at 100mL/10L may improve control.